Selling a used car, no matter the condition, is a pain. You have to list it, wait for calls or emails, and make yourself available when someone wants to see the vehicle. Then there is dealing with haggling and waiting for the potential buyer to have his or her mechanic check out the car. After all of that, the person may decide not to buy and you’re back to square one. Cash for Cars Northwest offers a same-day solution. 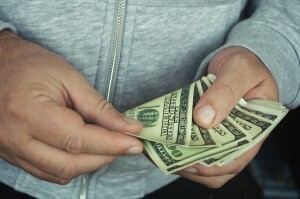 Our cash for cars in West Linn puts money in your hand within an hour or two of your call. We make the whole transaction as fast and easy as possible. No dealing with listing the car and all that other hassle! As a locally-owned company serving the West Linn area since 2004, we have developed a reputation as a trusted cash for cars service. You can count on us to give you the best quote possible for your vehicle. Our goal is for the transaction to be win-win. That is why we do not low ball or bait-and-switch as other companies might. Our on-staff appraiser offers the best cash for your car and we stick to the quote we offer you. We never pressure you, but offer the best price we can and allow you to make the decision that’s best for you. Call around. We encourage you to. We’re pretty sure you’ll get the best offer from us, but we want you to be sure as well. 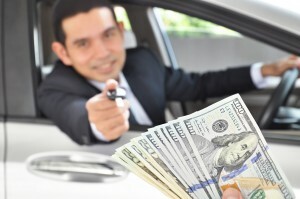 Why use a service to get cash for cars in West Linn? Fast – From the time you call us for cash for cars in West Linn to the time you have cash in your hand generally takes around and hour. Easy – We come to you (unless you want to come to us, which is fine too). We have minimal paperwork to sign, and you’r done. Easy! Free Towing – If your car doesn’t run, or run well enough to drive away, that’s not problem. We tow it for free! No DVM – We handle the title transfer, so you never have to deal with waiting in line at the DMV. Licensed, Bonded, and Insured – We follow all the local and state regulations so you know you are dealing with a safe, well-established business. No Charge – There are never any fees or other charges for our service. No Obligation – Call any time for a free quote. You will not be pressured into anything. Any Car, Any Condition – We offer you the best money we can for any used vehicle, whether it is in excellent condition or not even close. Same-Day Cash – With us, you get cash in hand. Some companies want to write a check, but will it clear? We offer cash so you never have to worry. Our experienced staff and cash for cars professionals are here to answer any of your questions. Call to get a free, no obligation quote on your vehicle and skip all the hassle of selling it to an individual or a dealer. Get the most for your car, no matter the condition. Contact us today for cash for cars in West Linn.